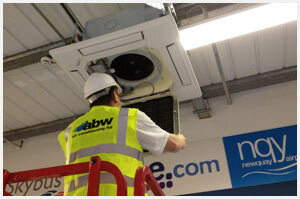 Maintenance & Servicing - ABW Airconditioning – installation, commissioning, service and maintenance of all types of air conditioning. ABW Air Conditioning provide a range of services within the Air conditioning and Refrigeration industries, which include servicing, air conditioning repair and planned maintenance. We offer our services for clients throughout the UK. 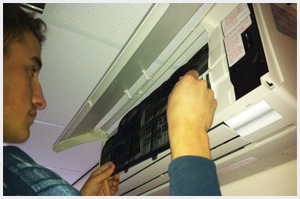 · Commercial and private air conditioning systems. · Air handling units and ventilation systems. · Diagnostics, Sourcing, Sales and Installation of Spares. · 24 hour emergency call out service 365 days a year for maintenance customers. · All our engineers are qualified with the Safe Handling of Refrigerants, we are certified to carry out the safe reclaiming of refrigerants and their disposal backed up by an audit trail. No matter how sophisticated your business infrastructure, you need expert maintenance services to ensure your business operates efficiently. ABW can both advise on and offer a wide range of general maintenance services through its own highly skilled team and through a network of approved suppliers. ABW service delivers the technical engineering solutions which improve the reliability and efficiency of plant and systems. Planned preventive maintenance regimes deliver the optimum working environment, whilst also reducing costs and complying with statutory regulations and compliance.